It must be the breeding season! HA. Thailand heartthrob “Sukrit Jitshob” the designer/model behind the lovable “Rinko” is set to release a mini-series. 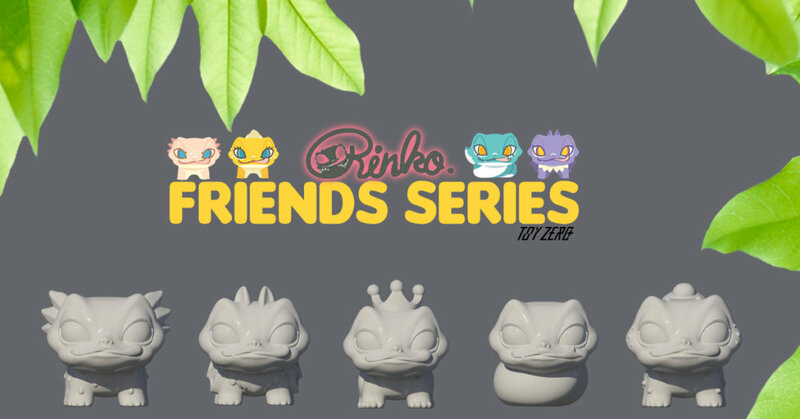 Finally, we can speak about the project but we are over the moon that Sukrit Jitshob and ToyZero Plus are working together again to bring you all more Rinko goodness. Gecko Gecko Gecko and more Gecko will be in the series and Sukrit has given us some more prototype photos for you guys to drool over. Just when you thought Rinko couldn’t get any cuter *THROWS money at the sceeen. The question now is what colours and variants would you like to see in the series? answers in the comment section below. Leave you guys with the resin edition review.